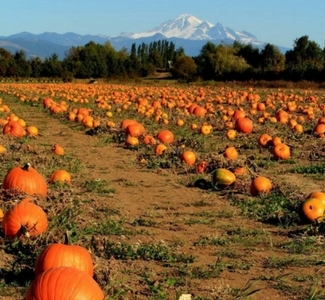 Fall is truly a great time of year to experience the vibrant colors, unique activities and fun events that happen in the surrounding areas of Bellingham, Washington. You'll find pumpkin patches, corn mazes, fruit festivals, craft shows, farm tours, fairs, pumpkin beer tastings, and so much more! Stop by the Bellingham Visitors Information Center at 904 Potter Street to collect maps and directions or simply visit the online Belligham Whatcom County Tourism site for more information. The Visitor Information Center is open 7 days a week, 9 am to 5 pm.